An ancient “grain”, amaranth seeds contain no gluten but lots of nutrition: protein and the amino acid lysine, dietary fibre, and minerals such as iron, manganese and phosphorous. They cook up to make a very nice porridge, and you can also bake them into breads and muffins or mix them into pancakes and cereals. Certified Organic by ACO. 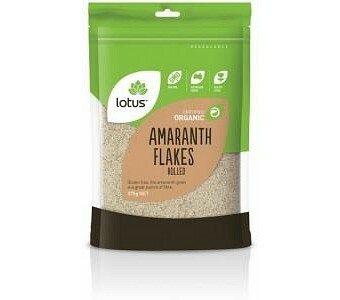 Ingredients: Organic Amaranth.